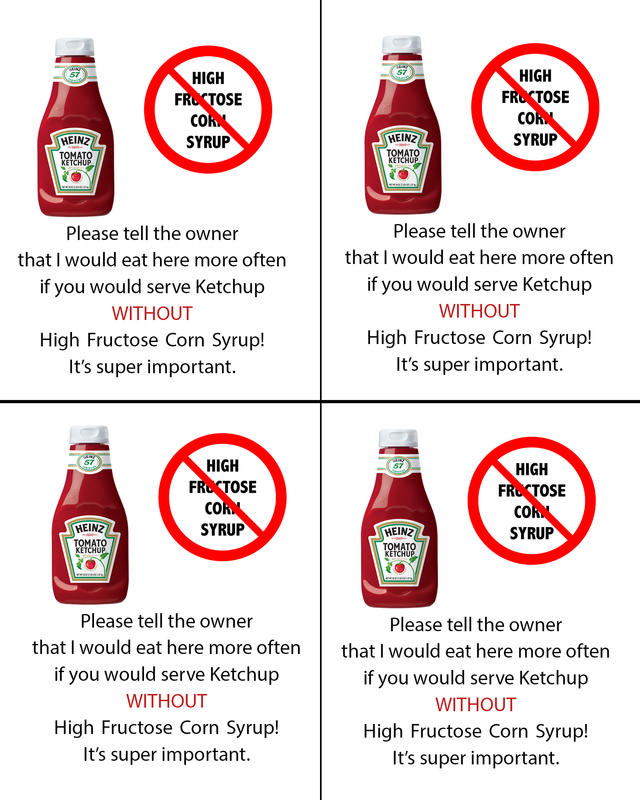 So, I’m doing my small part by letting restaurant owners know that I don’t appreciate hfcs ketchup. I made a flyer that I cut up and keep in my wallet for every time I hit high-fructose corn syrup ketchup restaurants. And I will hold true to my promise to frequent more restaurants that care about my health. I simply leave behind one of the 1/4 page cutouts on the table with the money or receipt. Feel free to click on the image and print out the flyer for your wallet. Together, we can make the world a bit better, albeit more knowledgeable.